We all learned in school that John Hancock drafted the Declaration of Independence in 1776. But do you know what happened next? How did the public learn about this exciting development? 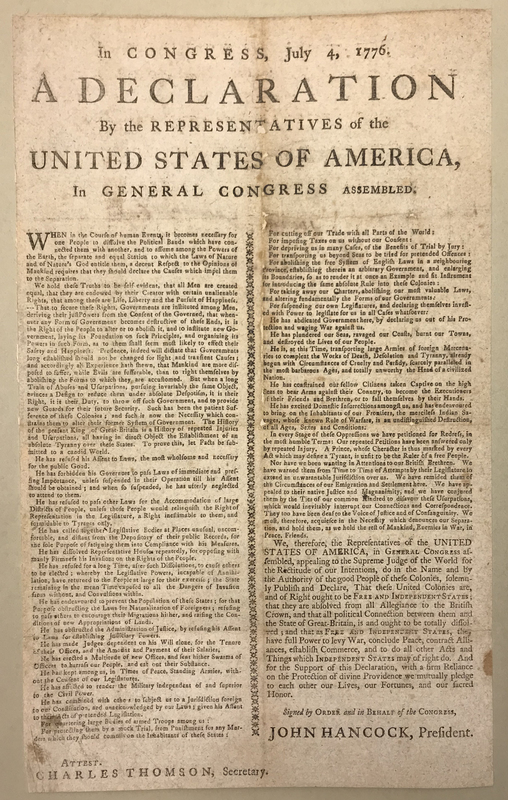 After the Second Continental Congress adopted the Declaration of Independence on July 4th, newspapers ran copies of the ratified text, and broadsides were posted in the thirteen newly sovereign states to announce the news. Two weeks later, on July 19, 1776, Congress resolved to write the Declaration neatly on parchment and have it signed by each delegate, which mostly happened on August 2, 1776. This is the historical document on display at the National Archives in Washington, D.C. and popularly regarded as the official document. The Boston Public Library is the proud owner of several early copies of the Declaration of Independence, including: original broadsides printed in New Haven, Connecticut, and Salem, Massachusetts; the first newspaper to run the Declaration's text, the Pennsylvania Evening Post from July 6, 1776; an engraving by William J. Stone of the engrossed and signed parchment; and a broadside from 1777 which lists all of the signers' names. Together these documents heralded the states' first steps toward forming the United States of America. 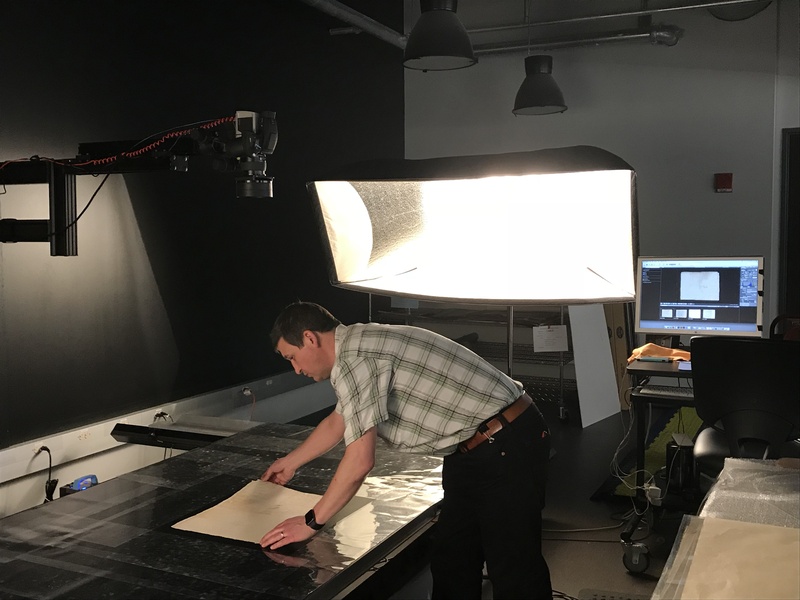 Boston Public Library staff recently digitized the Library's copies of these historic documents. To learn more about the different versions of the Declaration of Independence, check out Harvard University's Declaration Resources Project. 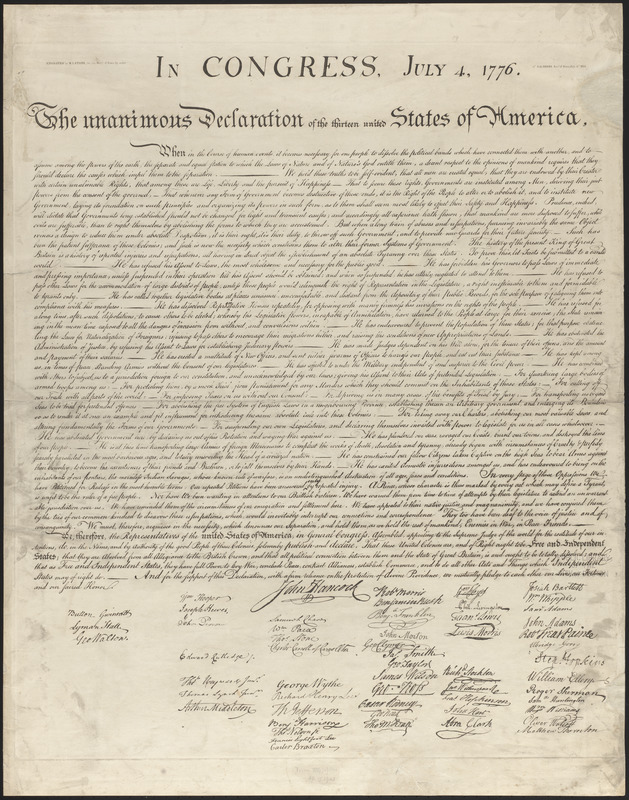 To view the BPL's copies of the Declaration of Independence, please the visit the Digital Commonwealth. 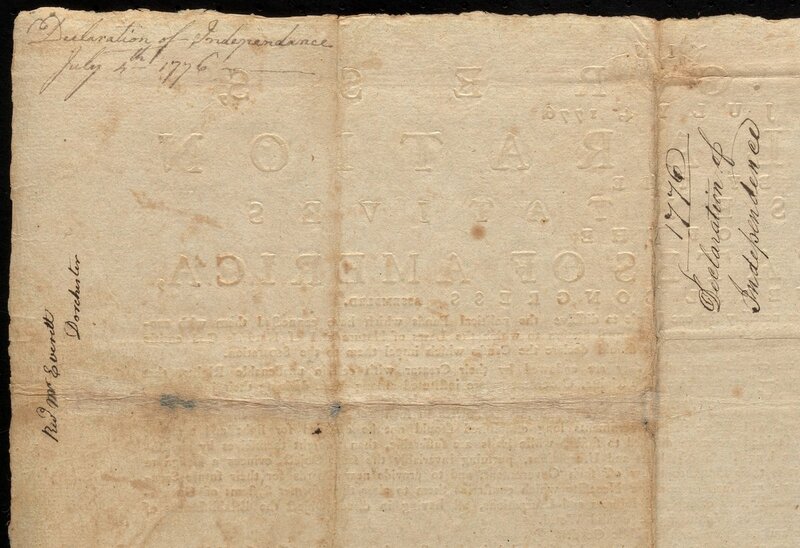 In addition to viewing the text itself, it is interesting to see the marks on the versos. 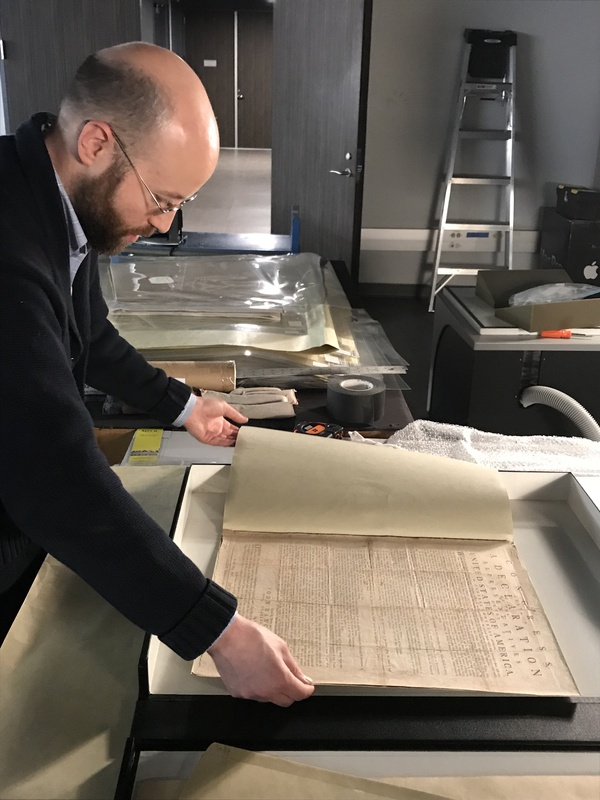 BPL Rare Books Curator Jay Moschella (seen below) points out that "there's something interesting on the "blank" side of every one of the BPL copies. Printer's ink smudges on a paper proof of the Stone broadside, type bite, provenance on others."